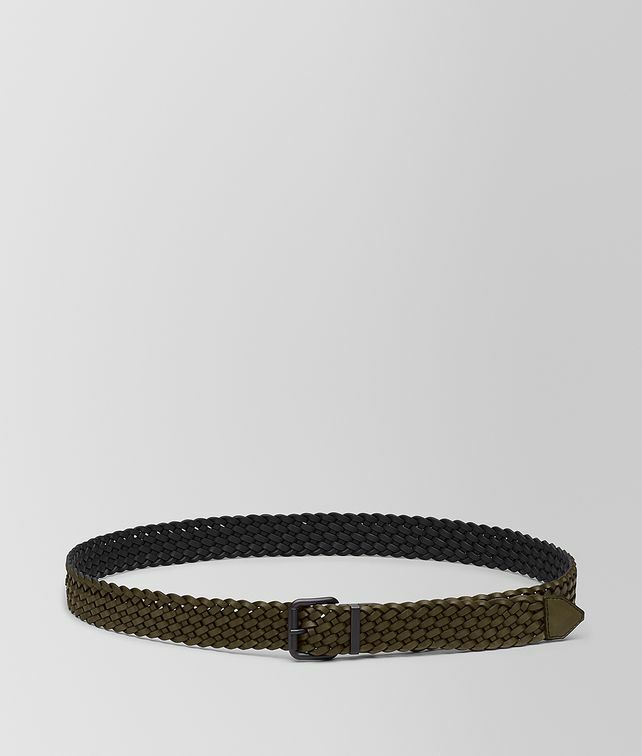 Made entirely by hand with thin, bi-color, double-faced leather strips—known as “fettucce”— this reversible belt features a new take on the classic intrecciato weave. Simple and functional yet beautifully made, it reflects Bottega Veneta’s deep connection to Italian craftsmanship with a contemporary attitude. • Designed to be worn long. If you’re looking for a classic style, choose the downsized version. S Length: 85 cm | 33.4"
M Length: 100 cm | 39.3"
L Length: 120 cm | 47.2"